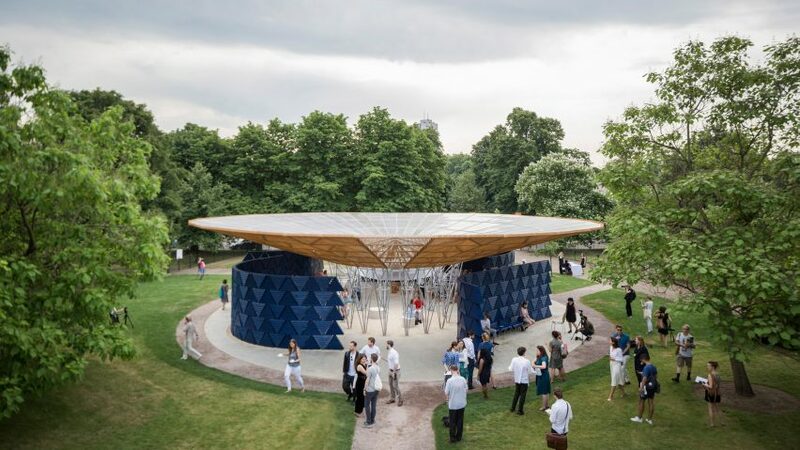 This year's Serpentine Pavilion by Diébédo Francis Kéré will find a new permanent home in Malaysia, following an extended run in London. The Serpentine Galleries has confirmed that the pavilion has been sold to Kuala Lumpur-based Ilham Gallery. Ilham is now seeking a location for the pavilion in Malaysia's Klang Valley – the region that surrounds and encompasses the city. "Thanks to the generous donations by a group of philanthropists, Ilham Gallery now has a prestigious architectural commission in its collection. It was a surprising yet very welcome bit of news to be the new custodian of this exciting work," said gallery director Rahel Joseph. "Its too large for Ilham and we want to put it in a public space for all to enjoy. We are looking for a space for it in the Klang Valley," added Joseph. Kéré, who is from Gando in Burkina Faso and runs Berlin practice Kéré Architecture, was the 17th architect to take on the annual Serpentine Pavilion commission. His design comprises a spiralling indigo-blue facade topped by a latticed canopy that funnels rainwater into a well at the centre. The pavilion opened to the public in Kensington Gardens in June. It remained in place until 19 November 2017, despite an anticipated closing date of 8 October. It will be transported to Malaysia early next year. Kéré's pavilion won't be the first to find a new home. Former Serpentine Gallery director Julia Peyton-Jones wrote in her 2016 essay Afterlives: "A prerequisite for the realisation of the pavilion is that they are acquired following their presentation at the Serpentine." "This vital aspect of their funding also determines that they will have a life after their time at the Serpentine," she said. Last year's pavilion by Bjarke Ingels was sold to Canadian developer Westbank, to find a permanent home in Downtown Vancouver. Similarly, the 2015 pavilion by SelgasCano relocated to Los Angeles, and Smiljan Radić's 2014 pavilion moved to the Hauser and Wirth gallery in Somerset, England. In a video series shot by Dezeen, Peyton-Jones described all the pavilions created for the Serpentine Gallery between 2000 and 2015.